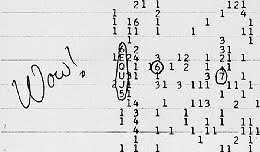 Back on August 15, 1977, a signal, thought to be of extraterrestrial origin, was detected at The Big Ear radio telescope at Ohio State University by Dr. Jerry Ehman, working in conjunction with SETI. He was so excited by the signal that on a computer printout of the data, he circled the short segment and wrote, "Wow!" next to it (seen here). 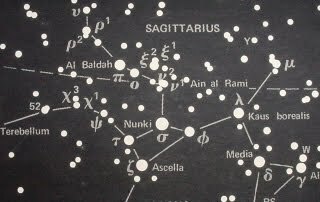 Although the configuration of the equipment and a delay between the receptio n of the signal and the discovery on the computer printout made finding the precise location difficult, it was determined that the source was in Sagittarius (seen here). More precisely, about 2.5 degrees south of the fifth-magnitude star, Chi Sagittarii. The signal lasted for 72 seconds, and was not repeated. Naturally, as equipment improved and capabilities improved they searched fo r the signal again. In 1987 and in 1989, Robert Gray, searched, but didn’t find anything. Gray, using the Very Large Array (which I sometimes call the Whopping Huge Array and is seen here), tried again in 1995 and 1996, with no results. And in 1999, Gray, with Dr. Simon Ellingsen, used the University of Tasmania’s Hobart 26m radio telescope in six 14-hour observations and detected nothing. data to draw many conclusions. In other words, as I stated above, I choose not to "draw vast conclusions from 'half-vast' data". But even if the source was an extraterrestrial intelligence, which by itself would be an astounding discovery, that does not translate into a capability to travel interstellar distances. We have been radiating radio signals for more than 100 years, which means, of course, that none of our signals could have reached any of the stars in the small cluster around Chi Sagittarii. That means they wouldn’t be looking for us and wouldn’t know about us. And even if they had discovered our radio signals, we cannot reach them and that might mean they can’t reach us... Yet. This alien abduction survey surprised me a little. Given the nature of this blog, I suspected that alien visitation would receive the most votes, but I didn’t think that sleep paralysis would do quite so well. Since I allowed multiple answers, quite naturally, the percentage totals add up to more than one hundred. And, of course, this is not a scientific poll, though it certainly suggests something about what those interested in these paranormal topics think. So, what did we learn. There are a large number of people who believe that sleep paralysis can explain some of the alien abductions. Given that the symptoms of sleep paralysis mirror the symptoms of alien abduction, this is no real surprise. What we need is a way to discriminate between abduction and sleep paralysis. Kathleen Marden (seen here), the niece of Betty Hill, has told me that abductions are described in color but sleep paralysis is in black and white. I haven’t verified this, but it shows that Marden is searching for an answer and that is a good thing. Few thought that hypnotic regression had much to do with abduction but I think that might be a misunderstanding of what hypnosis is and what it does, both good and bad. Too many regressions of the same subject can lead in all sorts of unreliable directions and I fear that too few abduction researchers understand this. Imagination received more votes than I expected because imagination is suggestive of hoax. You could have an imaginative episode that you believe to be abduction that is not part of a conscious hoax. I say it that way because the abductee might believe in the abduction but imagined the circumstances without the help or guidance of an abduction researcher. I suppose we could call this confabulation in the truest sense of the word. In the end it seems that many people understand there is not a single explanation for alien abduction. What we’re going to find in the end is a combination of answers that will account for everything. It’s just that we don’t have the proper combination figured out yet. When we get there, then we’ll have something important. Blogger’s note: It seems to me that some have grown bored with this, so in the interest of rapidity, I have put the remainder of the press conference here. Yes, Tim Banse warned me about long postings, but then, this seemed to be dragging on forever. I will note that privately, I have heard that some appreciate the effort to provide the entire text of the press conference, and for them, this is all that it left. Ruppelt: Actually, we are very much interested. However, there isn’t much we can do with their information. It’s possible that you might get a series of sightings. In other words, if you get everybody up and down the East Coast looking, you might be able to plot a ground track from it, but the information we get from the general public or from a scientist -- there’s no difference. In other words, well, let’s take a meteor-like object, for example. If you’re out some night and see a meteor, what can you tell me about that meteor? You don’t even know in which direction it was going. Actually, it looked to you maybe like it was going across the sky from east to west, but you’re not sure. You’re just looking at horizontal projection of that meteor. And a scientist the same way. Just because he’s a scientist doesn’t mean he’s got better eyes. The most impressive series of sightings came from Portland, Oregon, where police officers and civilians in widely separated locations watched as a variety of disks flashed through the sky during the July 4, 1947 weekend. The first was reported by C.J. Bogne and a carload of witnesses north of Redmond, Oregon when they saw four disk-shaped objects flash past Mount Jefferson. The objects made no noise and performed no maneuvers. At one o'clock, an Oaks Park employee, Don Metcalfe saw a lone disk fly over the Park. A KOIN news reporter in Portland saw twelve, shiny, disks as they danced in the sky high overhead. A few minutes after 1:00, Kenneth A. McDowell, a police officer who was near the Portland Police Station, noticed that the pigeons began fluttering as if frightened. Overhead were three disks, one flying east and the other two south. All were moving at high speed and appeared to be oscillating. About the same time two other police officers, Walter A. Lissy and Robert Ellis saw three disks overhead. They were also moving at high speed. Just across the Columbia River, in nearby Vancouver, Washington, sheriff's deputies, Sergeant John Sullivan, Clarence McKay, and Fred Krives, watched twenty to thirty disks overhead. Not long after that, three harbor patrolmen on the river saw three to six disks traveling at high speed. According to the witnesses, the objects looked like chrome hubcaps and oscillated as they flew. About 4:00 P.M., more civilians saw the disks. A woman called police, telling them she watched a single object as "shiny as a new dime, flipping around." An unidentified man called to say that he'd seen three discs, one flying to the east and the other two heading north. They were shiny, shaped like flattened saucers and were traveling at high speed. Finally, in Milwaukie, Oregon, not far from Portland, Sergeant Claude Cross reported three objects flying to the north. All were disc-shaped and were moving at high speed. The question that must be asked is why none of the aircraft on alert, in that area, on orders from the Pentagon, responded to this series of sightings. It would seem logical that they would have spotted the disks at some point, but there was never any indication that such is the case. Nothing appears in the Project Blue Book files to suggest that gun camera footage was obtained by the Oregon National Guard, which had been alerted because of the increase in UFO sightings in the area. A few days later, it was announced by the Pentagon that the searches would be discontinued. The lack of concrete results was the suspected reason. The point, however, is that here was a series of sightings, in a single location, spread over a single day, that had been reported to the official Air Force project. No real investigation was carried out by military officials. Instead, the case was ignored by the Air Force. Ruppelt: I couldn’t pick that one out from the mass and size -- I’m not familiar with that one. Reporter: Have you investigated these so-called saucers here in Washington. Reporter: The ones we’ve been seeing on radar screens. Ruppelt: We’ve got data on them. Reporter: Have you investigated them yourself? Ruppelt: Well, what do you mean by that, now -- gone out and personally talked to all these people? Reporter: Has anybody from the Air Force talked to Harry Barnes, who’s the Senior Controller in the CAA radar? Ruppelt: We have a report from the CAA Controller. Reporter: But nobody’s interviewed him? Ruppelt: I couldn’t tell you that. Reporter: General, you started to say you wanted certain means of measuring these things and you mentioned this camera. Were you going to name others or is that the only thing you have in mind as a possible way of identifying and measuring these phenomena? Samford: Mr. Griffing is here from the Electronics Section. Would you address yourself to that, Mr. Griffing? Griffing: I didn’t hear the question. Reporter: The question was we’d ask what -- the General had said the greatest need now was to get some way of measuring these reports in terms that you can turn them over to a scientist and I asked him what was he seeking in that way, what he was getting. He mentioned this camera. I connected the question with some way of measuring the gases and lights. I asked him were there other things than that that he might mention that they’re now ordering or procuring for that purpose. Griffing: The refraction camera should tell whether it’s an incandescent source or whether it’s illuminous (sic) gas. Well, that would immediately tell whether it was a meteor or reflection of a headlight, a mirage theory and it might also identify what kind of gases. Reporter: What other than this camera? Are there any other tools that you’re seeking now? Griffing: There is another proposal which also uses de-fraction grating, which is a continuously operating Schmidt telescope, and that will give a continuous record over the night. Reporter: That’s a telescope to photograph the entire heaven in one whole picture? Reporter: Would you repeat that? What is this Schmidt telescope? James: It’s a type of telescope. Reporter: What type of telescope are you talking about, Mr. Griffing? Griffing: The Schmidt, S-c-h-m-i-d-t, telescope is an optical system that has a wide aperture. That is, you can have a wide range or aperture, in this case, about 150 degrees, or nearer the whole hemisphere can be photographed in one plate and you can have a continual record of what happens in the sky at night, meteor trails or what-have-you and make a photographic record. Reporter: Where is this being used? Griffing: This is a new development, this particular one, but there have been ones similar to this in use in many observatories. Palomar has a Schmidt telescope. Reporter: Are you ordering a number of those for placing around the country? Griffing: That is a possibility. Reporter: Is that a movie-camera type? Griffing: Not exactly. The plate is exposed for ten minutes and then is replaced with another plate and then so on through the night. That is, one can expose a photographic plate for ten minutes without overexposure, in fact, a longer time, but a continual record will be made. Any motion that can be indicated with a time exposure can be found with considerable accuracy. Reporter: Does the Air Force have access to any of these right now? Griffing: That particular thing is not in production yet. Reporter: How much does it cost? Griffing: Shall I go into it, General? Griffing: The cost will be between three and five thousand dollars apiece. Reporter: General, has there been any indication that any of these radar sightings have been made by electronic countermeasures being used by U.S. Strategic Air Command bombers practicing? Samford: No; they haven’t. We’ve investigated that and come up negative. Reporter: Is that Schmidt camera telescope the only one, astronomical telescope that’s capable of being used on a project like this? Griffing: It’s not the only one, but it is the most practical telescopic method. Any telescope can be used but the probability of getting a flying object is very remote. Because it has such a wide aperture it makes it more useful. Reporter: Well, are you planning any other measurement tools other than this camera and telescope? Griffing: Well, of course, the difficulty is if we have a high-powered instrument, we can’t guarantee that they’ll intercept flying objects so there are other simple measurements that can be made with trained personnel. There are measurements of time. One can time the appearance and disappearance with his own watch and then check his watch. Accurate measurements of time are one thing and simple measurements of angle can be made by trained people with very crude apparatus, and they can tell whether an object is one mile or fifty miles high. Reporter: Haven’t we already had some trained personnel, so-called trained personnel, who timed these appearances? Griffing: There perhaps have -- Captain Ruppelt can answer that. The point is in any of these operations there have to be two simultaneous observers to get altitude. You can’t use one observation, and it may be that two simultaneous observations have not been in the reports. Samford: I think that the gentleman here has been waiting quite awhile with a question, if you don’t mind. It should be noted here that the question was not answered. Ruppelt was not given an opportunity to answer it and it could be suggested that Samford didn’t want it answered. That is why he cut off the discussion at that point. By the same token, it must be noted that the reporters let him get away with it. They didn’t come back to the question which was a very important one. It was not the first time in the press conference that they had let an important answer get away from them. Samford: It’s very high. We react to them as saying this is an important item. Reporter: Do you classify that, some of those things, as phenomena? Samford: Well, what else can we call it? His terms of the statement about it are not placeable in anything else as phenomena. I have one that a friend of mine who is an Air Force officer reported from the Middle East. He said, “I thought that my mental processes were adequate to avoid seeing these things, but I did see something that didn’t belong there.” He was no more able to put a precise measurement on it although he had competent witnesses. He’s a creditable observer. We’re not trying to discredit observers. That’s the reason that I said that we have many reports from creditable observers of incredible things. They also say they’re incredible. Reporter: Are these phenomena capable of change of direction and speed such as has been reported? Reporter: General, while we’re in this mass of areas for a minute, suppose some super-intelligent creature had come up with a solution to the theoretical problem of levitation, would that not be massless in our observations either by radar or by sight? No gravity. Reporter: A balloon has no gravity but its rate of movement is distinctly limited. Samford: Well, I don’t know whether I can give an answer to that, sir, that makes any sense because I’m not a metaphysician. I think, probably, just to return to saying that -- we believe most of this can be understood gradually by the human mind. Reporter: So far as we know, have any of these manifestations been reported over Russia or any of the satellites? Samford: Well, we don’t know if there have been any reported over there, no. Reporter: General Samford or perhaps General Ramey, you have described fighters over the District here in the last few weeks. Is there any kind of a policy as far as the rest of the country of the Air Defense Command on such sightings? Samford: I would like General Ramey to speak to that, if he will, please. Ramey: There’s no special policy as a result of these reports. We have a standard operating procedure that would call for an investigation of reports that can be tracked on a reasonable assurance of some sort of intercept or some direction to (inaudible). Those instructions are standard, however, and are not especially caused by this. Reporter: General, is it true that there was a two-hour delay between the sighting of these objects last Saturday night and the dispatch of the jets from New Castle? Ramey: Yes; that is true because there was never a track established. As soon as a track was established to tell the airplane the direction to go in and the authenticity of the thing was established, then the pilots got off. As long as there’s a sporadic report with no identification, no track established, there’s no use sending a very short-range short-field-duration interceptor in the air because he wouldn’t know where to go or what to do. Reporter: In other words, it was the decision of the operations officer that occasioned the delay and not any error in transmission of the alert. Ramey: That’s correct; yes, sir. Reporter: General, it’s been rumored that the Air Force has been picking up blips of this sort for quite awhile but waited until civilian radar picked it up. Is that true? Samford: I think I mentioned earlier our past experience in dealing with these things in many areas where we have had, oh, hundreds of fruitless intercept efforts in response to radar blips. It’s not new with us at all. Reporter: But of those same caliber as recently as the past couple of weeks, I mean, the same caliber blips. I think we’ve all heard about this blip, but is that the thing that you sighted before in the past by the Air Force? That’s what I wanted to ask. Samford: Well, I can only say that I feel fairly sure that they were the same or reasonably the same. No two blips on radar are alike. Reporter: Have these been better, clearer, bigger? Reporter: General Samford, to clear that point up, I think Captain James indicated earlier in this reference to temperature inversion you now say that these are good returns. Can you get good returns on this temperature inversion reflection? Reporter: Can you get a return that’s as sharp as the ones you get off aircraft. Reporter: Captain James said they were sharper, larger, awhile ago. James: I said it depended upon the target. Reporter: I’m referring to these seen Saturday night. Were those good returns? Could the good returns have been caused by this reflection against heat (inaudible)? Samford: We think so. We think that that is probable. Reporter: General, do you think that’s probably what they were? Samford: My own mind is satisfied with that, but my obligation to learn more is not. My own mind is satisfied with that explanation. Ruppelt, in writing his own book about UFOs, suggested that the temperature inversion explanation “had been construed by the press to mean that this was the Air Force’s answer...” While it can be suggested that the reporters had not understood what was being said, it was at this point in the press conference that General Samford told them that he, and by extension, the Air Force, was satisfied by the temperature inversion explanation. What were the reporters to believe, given the nature of the answers supplied by Samford? We begin to see that the Air Force is not there to answer questions about their UFO investigations, or what they might have learned in the six years of study. Much of that was still classified and would remain so until 1976. With that in mind, the officers provided what information they could and as we’ve seen, dodged the questions when they couldn’t answer. Reporter: General, if after six years of studying these things you’re now convinced that they do not constitute a threat to the safety of the country, is the Air Force thinking about turning this over to some other scientific investigating body or something? Samford: Well, I think that we would want to move into it with them rather than to say turn it over. Reporter: Is there any thought of that, bringing in other governmental scientific bodies perhaps? Reporter: Have you any program along that line? You spoke in the beginning that you wanted the methods of measuring things. You mentioned two or three little things like the possibility of buying some cameras and telescopes. Is there a program being set up to go about this scientifically, and what other organization are you thinking of bringing in on it? Samford: I believe that Colonel Bower of the Technical Analysis Division at Dayton is here. Are you here, Bower? Samford: Would you address yourself to that point, please? Bower: Our idea on that is to implement our present study with instruments wherever possible, as Mr. Griffing mentioned, the refraction grid camera and other pickups that we might get. Reporters: How many of these telescopes have been ordered, the Schmidt telescope? Samford: I think the point that the gentleman over here wanted to have answered is can you explain from memory the kind of structure that I know that you have in ATIC for, well, I’ve seen it somewhere in my memory that you have this step and this step and this step. Bower: We have several steps in analyses and that might explain to you one reason why we cannot give you an instantaneous answer. I mean this requires a study just like any technical problem. First of all, we need technical data. Our first step is to collect the data and check it against other identified objects such as balloons, if aircraft or missiles or such things as meteors are following that, and it comes back and we make an analysis of it within our own groups. We have specialists in our own organizations, people on electrodynamics, physics, geophysics, and various other specialties that would fit into this. Following that, if it is necessary, we will send it to consultants or specialists in the field. Your mention of a contractor -- we are considering that with the idea, if we can’t come out with an answer, of giving it to a contractor to study it. That won’t be a short-time job. Reporter: Are you taking a new approach in this whole thing? Bower: I would say implementing the past approach. Reporter: Going at it more systematically. Bower: Yes, I think that’s the thing to stress. In a lot of these things you can’t get technical data and without technical data you can’t get a technical answer very well. Samford: Maybe I have a thought that might help in answering that problem. When we started to say this is an obligation we must learn more about, we thought initially that we could learn something from the volume of reports. We say we want all the reports we can get and then see that through that volume maybe we can make a pattern. I think we’re beginning to believe now that the things which we can sense from volume are not necessarily the things which we value. In other words, volume can come from many different things. It can come from external stimulus. It can come from an unusual opportunity. It can come from such a variety of meaningless things so that the volume of reports is not going to be our answer. We have thought we’d get thousands and thousands of reports and out of these we will develop something through better reports with equipment or with a trained reporter specifically attempting to report the valuable things about these items are we likely to produce material that is suitable grist for a scientific analysis. The stuff we have now hasn’t enough meat on its bones to interest scientific people. Reporter: Well, General, would you say a qualified observer would be the pilot from New Castle -- I believe his name was Lieutenant Patterson -- who got within what he estimated was two miles of this object last Saturday? Have you questioned him? Samford: He has no measurement that you can put in scientific hands. Reporter: Well, other than his eye as a pilot. Samford: He says -- if the quality of the observer is that of seeing something, he was a qualified observer. If the quality is measuring something, he is not a qualified observer. Reporter: Well, the reason I’d implied that he’d be qualified is he was probably concentrating with all of his intensity upon this object that he was pursuing. He must have been thinking about it pretty intensely; therefore, can probably give you some pretty good information. Have you questioned him about it? Samford: Yes. He had motive; he had direction; he had interest; he had opportunity. But he had no measuring devices to measure this thing, or these things that need to have measurement before it can become anything other than a sighting. Reporter: Well, do you explain his sighting on the basis of this heat inversion theory too, now? Samford: Not necessarily. That very likely is one that sits apart and says insufficient measurement, insufficient association with other things, insufficient association with other probabilities for it to do any more than to join that group of sightings that we still hold in front of us as saying no. Reporter: Hasn’t he admitted that that might have been a ground light that he was looking at? Reporter: Well, have you formed any conclusion as a result of interrogating this pilot? Samford: None other than that this is another one of the thousand or two thousand sightings. Reporter: General, this fellow that almost flew into the ground, did he go around a corner as if on a bent return? What were the circumstances of that flight? Samford: Did I get the information of the ground lock-on from you, James? James: Yes, sir; you did. Samford: Would you answer the question? James: I’m sorry. I didn’t hear it. Reporter: Did he lock on a reflected image, go around the corner, and go down to the ground? Was that the pattern? James: Yes, that’s true. That was the pattern, and he did that three times and each time it led him to the same point on the ground. Reporter: Captain, what about the man who saw four lights, Saturday night? James: Well, I’ll have to ask Captain Ruppelt to explain the lights. Samford: There’s this difficulty. May I make this statement? I was trying to -- let’s take any one of these reports and pull it out and say, “Well, what is the meaning of that one report?” None of these things in the period of our entire experience with them has had any validity on its own. The only thing that we hope for is to find enough similarity in sequence of these things so that you can begin to pull something out. There is no validity in them as individual sightings to mean any particular thing. Reporter: General, did you notice in all of your, say, twenty per cent of the inexplainable (sic) reports a consistency as to color, size, or speed, estimated speed. Reporter: Have you ever tracked the speed by radar of any particular object that you can explain? Samford: There have been many radar reports giving speed. Reporter: What did they range from, sir? Samford: They run from zero to fantastic speed. Reporter: Pierman described it as a light that was zooming and all such things and this was done not once but Barnes told me he instructed him on that target three times and then, Saturday night, this past Saturday night, when they all saw all these blips, Barnes vectored at least half a dozen airline pilots and planes into these things and they all reported seeing lights. Reporter: Many of them didn’t see them, according to Barnes. Reporter: Yes. Many of them didn’t see them, but then some did. Samford: I can’t explain that. Reporter: Have you investigated that phase of this thing, this vectoring the planes into that? Samford: You can investigate, but the technique of investigating a process or mind-reading, for example; or the technique of investigating the process of mesmerism. You can say will you investigate those things? I think probably we know no more about mind-reading than the technique of investigating that or the technique of investigating evidences of spiritualism than we do about these fields, but for many years the field of spiritualism had these same things in it in which completely competent creditable observers reported incredible things. I don’t mean to say that this is that sort of thing, but it’s an explanation of an inability to explain and that is with us. Reporter: General, I understand that the wavelength of the radar has something to do with what it can pick up in the way of phenomena. Were these relatively low or relatively high wavelength radar? Samford: I couldn’t say and I don’t know whether Captain James can or not, but I’d like him to have him have the opportunity. James: These were relatively high frequency or short wavelength. However, the same effect can be observed on long wavelength equipment with differing degrees. Reporter: You say very short wavelength? James: In this case, yes. Reporter: They were designed for different purposes? Reporter: General, why has the Air Force refused to disclose the substance of Captain Mantell’s air-ground conversations before he died? Do you remember the case? The Mantell case took place in January 1948, when a National Guard, and former Army Air Forces transport pilot, was killed chasing a UFO over Fort Knox, Kentucky. Mantell’s fighter was not equipped with oxygen and Mantell climbed above 25,000 feet. He blacked out and his aircraft crashed, killing him. 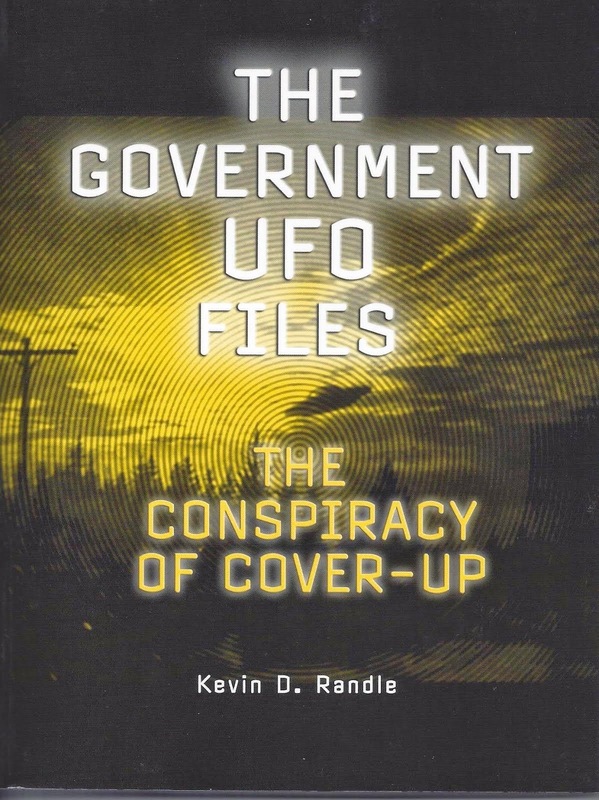 Although the case has been discussed at length in other books, suggesting that UFOs are hostile, the truth, now available is that Mantell had been chasing a Skyhook balloon. These huge balloons, made of polyethylene were classified in 1948. No good explanation, without knowledge of the Skyhook project was possible. There is little doubt today that Mantell was killed in a tragic accident that did not involve an alien spacecraft. However, in 1952, this explanation was not readily available. 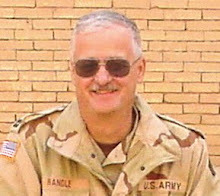 There were also rumors of the discussion that Mantell had with ground controllers and tower personnel before his crash. None of the rumors were ever confirmed, and with a good solution to the Mantell incident, the questions about the rumors are now irrelevant. Samford: Well, I wish that that were true, that he did say something that had enough substance in it for use. I haven’t the slightest idea what he said. Reporter: We don’t like that word either. Samford: I like the word. Reporter is all right. But many people are reticent about reporting these things if their names are mentioned because they are frequently looked on by others as being publicity seekers or maybe people will avoid them and go on the other side of the street for awhile (laughter), so they ask us to not say who made this report and sometimes information is received that deals with the credibility of a reporter saying he’s drunk all the time or he never did do anything but lie. (Laughter). Well, those things we get are not revealed, but in so far as the statement of what they saw, when and where they saw it, the measurements that they took, such as they were, we are not withholding any of that data. Of course, it can be shown that this is simply not true. There are any number of sightings that were classified. Two photographic cases, the Montana Movie and the Tremonton, Utah film were not viewed outside of the military for a number of years. The Air Force was clearly withholding information and Samford knew it. The question to be asked was if that was justified, given the nature of the work being done and the world situation at the time. A fair answer is, “Yes.” Some of the secrecy was justified. Samford, if he answered in the positive, would be giving away one secret and so, he was forced into a position where he said they were not withholding data. Reporter: How about your interpretation of what they reported? Samford: Well, we’re trying to say as much as we can on that today and admit that the barrier of understanding on all of this is not one that we break. Reporter: General, have you ever said flatly that these are not machines that the United States has made or is developing? Reporter: Have you said this afternoon these are not machines or weapons that the United States is developing? Reporter: These are not missiles or rockets? Samford: -- there is nothing. Reporter: Well, General, could you turn that over a little bit? A lot of people keep saying that all this talk is a cover-up and that saucers are really the result of some experiments the United States, either the Air Force or Atomic Energy, is carrying on. Can you make a flat statement and say that these unexplained flying saucer manifestations are not the result of any American weapons or other experimentation or test? Samford: I’d say that those that we categorize as unexplained or unidentified have gone through the process of trying to associate them with something we were doing and when we fail to associate them with something we’re doing, we say that is one other clue that ran to nothing. Now, to say that sightings everywhere are -- none of them could possibly be associated with what the United States is doing, isn’t quite true because we know that a particular jet fighter has been flying in a certain area; somebody has reported thus and thus and thus, and we get those two things together and we say something that we were doing caused this report. As General Ramey said a minute ago, there is a fair degree of probability that two fighters locked on each other and saw and received senses. That was certainly something we were doing that cause those two reports. Reporter: -- of mystery, of something, that it’s some very highly secret new weapon that we’re working on that’s causing all this. Reporter: General, somebody asked you before how much money you’d spent on this investigation since the start. How much have you spent on it? Samford: It’s very slight. I don’t know. Reporter: General, in connection with withholding information, I’d like to ask General Ramey a question. That is, how many times have fighter planes been brought down over the Washington area in the last couple of weeks to investigate reports of flying objects? Ramey: That’s a matter of record -- three, I believe. I think two flights one night and one flight Saturday night. I don’t remember the night the other two were up. I think there have been six sorties. Reporters: I thought the Air Force had said that it couldn’t send any fighters up because it didn’t have them. Ramey: No. I don’t believe it said that. Reporter: How about the last night, General? Ramey: No; there were no fighters up last night. Reporter: Were there fighters sent in here from New Castle on both those Saturday nights in questions? Reporter: Last night, was that because of lack of a track? Ramey: Lack of a track. Samford: There’s no reason why they shouldn’t be. Reporter: Thank you, General. Thank you. That ended the press conference without any answers being given. The press would believe that the sightings had been temperature inversions and eventually, the Air Force would endorse that claim. But the truth was, temperature inversions did not explain all the sighting and some of them were, and are quite interesting. Ruppelt: A few of them. Reporter: Is it the same pattern? Ruppelt: I wouldn’t say that every sighting around an atomic installation is unexplained. There’s really no -- I don’t quite follow you. Ruppelt: We’ve never broken it down. Reporter: Is it uniform to the general percentages? technical men in science at these installations? Ruppelt: It varies with the type of people. In other words, at Los Alamos most of the people are fairly technical people. However, you run the guards in a place like that. Now, that may be another factor. All those installations have guards that stay out twenty-four hours a day and those people are in a better position to observe than other people. Reporter: Have many of the scientists though, for instance at Los Alamos, the scientists or technical people, reported these things? Ruppelt: Yes; they have. We have reports from very high technical people. Reporter: If your reports, some of them, come from these technical people, what type of information would they Air Force like to have? Ruppelt: The Air Force wold like to have -- can I answer that, sir? Ruppelt: The Air Force would like to have a size, speed and altitude and what-have-you on these things. Reporter: Number of men inside it? Interestingly, the type of information that Ruppelt suggested had already been provided by some of the very best of the sightings available in the Blue Book files. For example, in 1949, a technical crew in New Mexico, using various scientific equipment made observations of a high flying disk. They provided exact measurements and the sighting was forwarded to Project Blue Book. It was labeled as an "Unidentified." Note: This is the series that I began before the recent death of Charles Moore. I rejoin the series here. The reporters now drag Samford back to the current sightings. One of them asked, "General, does that -- the kind of involved explanation you just gave us -- does that apply to the recent Washington sightings or upon your observations over the past years since 1946 based on all your experience with it?" Samford: Well, our reaction to the recent Washington sightings is related to the past experience in terms of -- we have dealt with radar blips before. Reporter: General, if these were vehicles or materials of our own making, they wouldn’t be a menace to the United States. Do you exclude that? Samford: I’d exclude that, definitely. Reporter: General, let’s make it clear now you are excluding -- if you’ll affirm that -- you are excluding vehicles, missiles, and other tangible objects flying through space, including the subhuman bodies from other planets. Samford: In my mind, yes. Reporter: Anything material -- would that be a clear statement. Samford: When you deal with a scientific man, maybe he might quarrel with you by what is the real meaning of "material." With my limited knowledge of material I would say yes. In my own view the thing is excluded as being a material evidence. Reporter: In other words, General, if you remove the EEI [Essential Element of Intelligence] from that statement, it could apply to any missile, material, or object that is in the air, regardless of whether it’s a menace to the United States or not? Reporter: In other words, it just isn’t there. Samford: I believe that, that there is no -- well, now, that is a little bit in error because a minute ago I said birds do these things. Now, a bird has substance, you see. I don’t want to go out and say that these things are reflections of nothing. If they’re reflections of something. That’s why the thought of saying that this thing satisfies us in having no real pattern other than that of phenomena. Reporter: General, you said there’d never been a simultaneous radar fix on one of these things. Samford: I don’t think I wanted to say that. Reporter: You didn’t mean to say that? Samford: I meant to say that, when you talk about simultaneously, somebody will say, "was it on 1203 hours, 24 and a half seconds?" and I don’t know. Samford: Well, their definition of simultaneous, yes. But some people won’t be satisfied that that is simultaneously. Reporter: Well, it is pretty damned simultaneous (laughter) for all purposes, it is satisfied by the inversion theory, Captain. Samford: Well, I’m talking about the split-second people who want to say you’ve got to prove now that this happened at such-and-such a time and they’ll say your observations are delayed by half a second; therefore, you can’t say it was simultaneous. Reporter: And does your inversion theory explain away that situation? James: It possibly could, yes. Reporter: It possibly could, but could it? James: We don’t have the details. Reporter: Is there any reason why it couldn’t. Reporter: General, can we get this clarified? Samford: I believe -- I’m trying to let this gentleman ask a question. Excuse me. Reporter: Isn’t it true, sir, that these show a definite grouping, the sightings around atomic bomb plants or areas? Doesn’t your map at Wright Field show that? Samford: I find no pattern in this dispersal of sightings than I do in a radar screen. You can perhaps take distribution of sightings and say that you arrange it this way and you take this group during this period and that gives you a dispersal that may have some significance in it. But I’d like to have Captain Ruppelt develop that because he probably knows more about what has been done to try to plot these things and say, "Does that have any meaning?" I am not satisfied that any effort we’ve made toward a dispersal pattern has developed one shred of evidence or meaning. Would you correct me or speak to that point? Ruppelt: We’ve plotted these things out on a map and they do come out grouped around some of the atomic installations in the country. However, there’s one point, you don’t know, maybe people in that area are a little more jumpy and, if they see a meteor, they’ll report it in to the guards. If some farmer out in the middle of Iowa saw a meteor, he’d just forget about it. Now, that is one possibility that we can’t eliminate. A lot of sightings that occurred around these atomic installations have turned out to be balloons, etc., but it may be that the story has gone out that those are vital areas and more people are reporting. We don’t know. Ruppelt’s concluding remark, that "We don’t know," is about the only thing said here that is true. Everything else is speculation. The data are incomplete. The Air Force simply didn’t know what percentage of sightings was legitimate, how many sightings had not been reported, or if the explanations offered were real. They were there to answer questions and convince the reporters that they had the situation in hand. To suggest otherwise would have been to nullify the purpose of the press conference. Blogger's note -- The following was picked from the New Mexico Institute of Technology web site is the following article on the passing of Dr. Charles B. Moore. Moore is seen here as he and I check atmospheric records in an attempt to learn if a Mogul balloon could have reached the Brazel (Foster) ranch in July 1947. I have interrupted the series on the Washington National UFO Sighting Press Conference for what I think of as important news. SOCORRO, N.M., March 4, 2010 – Charles B. Moore, renowned researcher on atmospheric physics, passed away on March 2, 2010, in Socorro. Moore was professor emeritus of physics at New Mexico Tech and former chairman of Tech’s Langmuir Laboratory for Atmospheric Research. Although he retired in 1985, he remained active in his research until the last few years, when Alzheimer’s disease affected him. He is survived by his wife, Wilma, and their three children, Charles III, Rita, and Malcolm. Moore took a long and circuitous route to the heights of his profession, managing to bypass a Ph.D. along the way, until 2003, when he was awarded an honorary Ph.D. by New Mexico Tech. He received numerous awards from fellow scientists, including a fellowship awarded by the American Geophysical Union, the Otto C. Winzen Lifetime Achievement Award of the American Institute of Aeronautics and Astronautics, and the Lifetime Achievement Award of the Atmospheric Electricity Community. Moore was born on October 28, 1920, in Maryville, Tenn. He started college at Georgia Institute of Technology in 1940, but like many of his generation, his education was interrupted by service in World War II. He served as a weather equipment officer for the U.S. Army Air Corps in the China-Burma-India theater, and later was a weather observer in occupied China. Moore returned to Georgia Tech, where he completed his bachelor’s degree in chemical engineering in 1947. He was then recruited for Project Mogul by New York University, which conducted the project for the U. S. Army Air Corps. He later recalled that the extended field trips were what ended his graduate schooling. Project Mogul involved launching balloons to carry microphones up to the base of the stratosphere, where the temperature of the atmosphere is highly effective at refracting sound waves. At the time, 1947, the United States was concerned with listening for nuclear testing by other countries, especially the Soviet Union, so the microphone-bearing balloons were launched to listen for the sounds. The experiment succeeded in detecting U.S. nuclear tests in the South Pacific, 6,000 miles away, but it also added an important footnote to American cultural history. A balloon launched by Moore in June of 1947 later proved to be the item that is enshrined at Roswell as a “UFO.” Moore didn't realize the part he had played in the drama until he happened to see a newspaper picture of the pieces of the “UFO” in the 1990s. Moore was considered a pioneer in the development and testing of modern polyethylene balloons as atmospheric research tools. In 1947, he made the first flight in a such a balloon, and in a later test, he made a 24-hour balloon flight from Minneapolis to New Jersey. In 1957, he made a record-breaking flight to the altitude of 82,000 feet in a pressurized balloon gondola, with Commander Malcolm D. Ross. During this flight, he made the first measurements which discovered traces of water vapor in the atmosphere of Venus. After he carried reconnaissance cameras to high altitude for the U.S. Air Force, a program to fly balloons carrying these cameras over the Soviet Union was established by General Mills, for whom Moore worked until 1953. He was then offered an opportunity to work for Arthur D. Little, a research company in Cambridge, Mass., again on a project involving research by balloon. While there, he designed and built the first alkaline-metal vaporizers used in rocket-borne ionospheric probes. Also at Little, Moore met and began his long collaboration with Dr. Bernard Vonnegut. Vonnegut was well-known as the scientist who had discovered that silver iodide could be used for cloud seeding. In 1956, Moore and Vonnegut were invited to New Mexico by E. J. Workman, then president of New Mexico Tech, to conduct thunderstorm research at Mt. Withington, some 70 miles west of Tech. For three successive summers, Moore and Vonnegut hauled truckloads of equipment to and from Boston each year, until the fateful day in 1958 when Moore suggested that what they needed was a mountaintop lab where the equipment could be kept year round. Workman and his colleague Marx Brook liked the idea, but instead of Mt. Withington, as Moore proposed, they decided to put their lab in the Magdalena Mountains, closer to Socorro and within line-of-sight of the campus. By 1964, their lab – Langmuir Laboratory for Atmospheric Research – was built and ready to put into operation. In 1965, Dr. Stirling Colgate, the new president of New Mexico Tech, offered jobs to both Moore and Vonnegut. The latter chose to stay at Arthur D. Little – and later moved to SUNY Albany – but Moore was delighted at the opportunity and came to Tech as an associate professor of physics and research physicist. In 1969, he became the chairman of Langmuir Laboratory. During his time at the helm, Moore greatly expanded the lab's facilities. He obtained funding for and organized the construction of a large addition to the Main Building, a balloon hangar, an airplane hangar, and underground shielded rooms (Faraday cages) on South Baldy Peak for studying nearby lightning. He was also responsible for the construction of a vertically-scanning radar and for solving the political problems to allow the launching of instrumented rockets into thunderstorms over Langmuir Laboratory. In addition, he organized the modification and instrumentation of an airplane that has flown into thunderstorms for many years. Moore also taught techniques of launching balloons in severe weather to a number of Tech faculty members and students, many of whom continued their work in the field. Thus, he was the mentor of many of today's scientists who study electrical properties of severe storms. 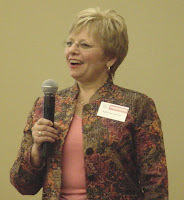 Moore nominally retired from New Mexico Tech in 1985, but continued to be active in research. He developed the first real improvement to the lightning rod since Benjamin Franklin invented it in the 18th Century, by proving that blunt-tipped rods were more effective than pointed-tipped ones. As a result of his work, most of the lightning rods manufactured in the United States today are blunt-tipped. Moore was a Fellow of the American Geophysical Union and received New Mexico Tech's Distinguished Research Award in 1984 and the Lifetime Achievement Award of the American Institute of Aeronautics and Astronautics in 1997. He was a fellow in three scientific societies: The Royal Meteorological Society, American Meteorological Society, and the American Association for the Advancement of Science. Dr. William Winn, who worked with Charles Moore for many years, said, “Charles inspired me and many other young investigators with his enthusiasm, independent thinking, and precise use of the English language, and he was a delightful companion because of his good humor and storytelling skills." Please note, as we begin to talk about Major Fournet and Lieutenant Holcomb, who were in the radar room on the second Saturday, they are nowhere to be found at the press conference. Lieutenant Holcomb, who described themselves as radar technicians and intelligence officers. What was their opinion? Samford: May I try to make another answer and ask for support or negation, on the quality of the radar operator. I personally don’t feel that is necessarily associated with quality of radar operators because radar operators of great quality are going to be confused by the things which now appear and may appear in radar. The ability to use the radar for the thing it was designed for is, I believe, dependent upon the thing that they see doing a normal act. If it does a normal act, then it becomes identified as the thing that they thought it was and then it pulls itself along through this mass of indication and they say, "That one has normal processes." I think that a description of a GCA landing has some bearing on that in which to get associated with the GCA you have to make a certain number of queries and do a certain number of things and then you become identified through the fact that you obey. If you obey, then you have an identity and you can then be followed with precision. So I wouldn’t like to say that this is a function of inadequate radar operations. I think it’s a thing that can happen to any radar operator. If he sees something in there and says, "That one is neither behaving nor any other normal pattern." What is it? Curiosity stimulus, any other kind of stimulus can result in overemphasis at any particular time on any radar scope. These recently appear to have been much more solid returns than ordinarily classifiable by the arguments that I have just given. Would you address yourself to what I’ve just said. Reporter: Yes. What do the experts think? That was the question. Reporter: The ones that saw it last Saturday night. What did they report to you? Reporter: What did they say? Samford: They said they made good returns. Reporter: Did they draw any conclusions as to what they were, whether they were clouds? Samford: They made good returns and they think that they ought to be followed up. Reporter: But now you come to the general belief that it was some either heat inversions or some other phenomena without substance. Samford: The phrase "without substance" bothers me a little. Samford: -- say what we do think? Samford: I think that the highest probability is that these are phenomena associated with the intellectual and scientific interests that we are on the road to learn more about but that there is nothing in them that is associated with material or vehicles or missiles that are directed against the United States. Reporter: General, you said that -- can you stop that short of the United States, sir, or the menace to the United States? Samford: Well, that was the -- I think that is the part that I believed. Now, what was it that I would have said otherwise? Reporter: Material, vehicles, and missiles directed against the United States. Reporter: The question whether these are hostile or not makes very little difference. What we’re trying to get at is are you eliminating, excluding from consideration a missile, a vehicle, or any other material object that might be flying through the air other than sound or light or some other intangible. Reporter: Somebody from this planet or some other planet violating our air space. Samford: The astronomers are our best advisers, of course, in this business of visitors from elsewhere. The astronomers photograph the sky continuously perhaps with the most adequate photography in existence and the complete absence of things which would have to be in their appearance for many days and months to come from somewhere else. It doesn’t cause them to have any enthusiasm whatsoever in thinking about this other side of it. Reporter: Have any astronomical laboratories reported any sightings whatsoever or any astronomers? Samford: I don’t recall. Captain Ruppelt, do you know whether we’ve had reports from astronomical laboratories or observatories? Ruppelt: No, sir. None have ever had any real bearing. The question as posed and the answer as posed, at this point are misleading. Astronomers had made UFO reports on a number of occasions. Dr. Clyde Tombaugh, who discovered Pluto, had made a UFO sighting report to the Air Force. He was not at an observatory at the time, but in his backyard, with his wife, but the real point is that here was a scientist, one with impressive credentials, who had made a UFO report to the Air Force. More recently, studies have been conducted using professional astronomers and engineers as the subjects. 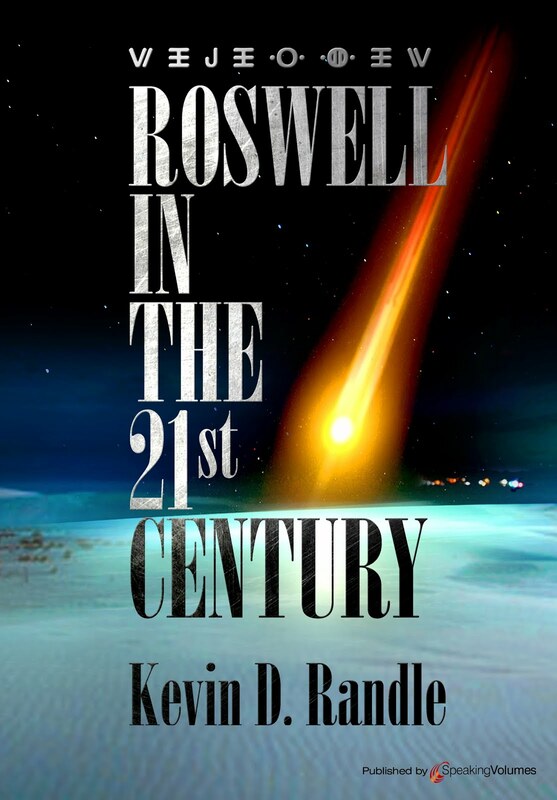 It was reported that these people reported UFOs at a higher rate than the general population. In other words, it would be expected that astronomers, who watch the sky on a regular basis, would see UFOs more frequently that the general population and they did, according to a scientifically reported study. In fact, because they are familiar with the sky and the astronomical phenomena in it, they would be able to eliminate many of the mundane answers that confuse and confound the general population. Their sightings, normally of longer duration, are not easily explained by the mundane and are, therefore, more likely to be labeled as unidentified. But there was another point that is generally overlooked. According to Dr. J. Allen Hynek’s survey of his fellow astronomers, most astronomers, in 1952, would not have been inclined to report a UFO sighting. Hynek wrote, "I took the time to talk rather seriously with a few of them, and to acquaint them with the fact that some of the sightings were truly puzzling and not at all easily explainable. Their interest was almost immediately aroused, indicating that their general lethargy is due to lack of information on the subject. And certainly another contributing factor... is their overwhelming fear of publicity. One headline in the nation’s papers to the effect ‘Astronomer Sees Flying Saucer’ would be enough to brand the astronomer as questionable among his colleagues." So, there is a very real possibility, according to the information available, that astronomers do see UFOs, but they don’t report them with any frequency. Ruppelt had to know that Hynek was conducting the study, even if it had not been completed, and he had to know that, at least, one astronomer had reported a UFO. To be fair, it must be noted that General Samford might not have had the information, or that it might not have been reported to the Air Force at the highest lever. The general attitude of the Air Force was that if something wasn’t reported to them, it simply didn’t exist.